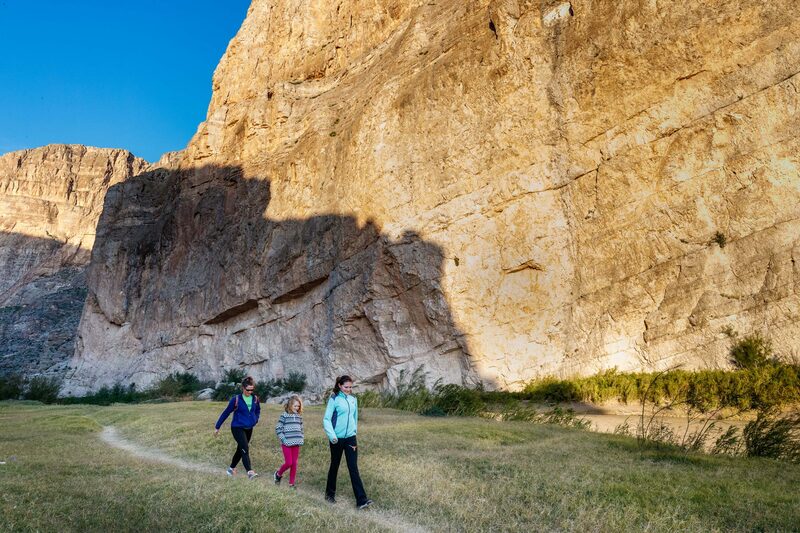 The government shutdown is limiting operations at Big Bend National Park and other Texas national parks, while some National Park Service properties are closed because of the shutdown. Hiking along Rio Grande at Boquillas Canyon Trail, Big Bend National Park, Texas, USA. Editor Note: With the government shutdown ending on 1/25, operations have returned to normal at Texas national parks and federal monuments. 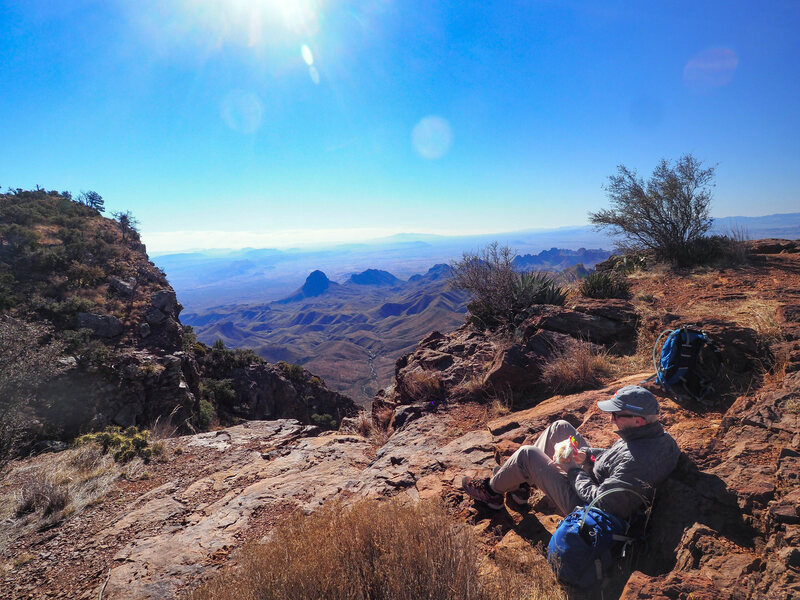 You still can’t pitch a tent, but at least you can toss your empty trail-mix bag in a trash can and use a proper toilet at Big Bend National Park starting this week. Under a government directive, park officials tapped into revenue from entrance fees to start paying for basic custodial services like garbage collection and restroom maintenance at the sprawling West Texas park during the ongoing government shutdown. That allowed the park to reopen Old Maverick Road and the Santa Elena Canyon trail, which had been closed during the shutdown. Officials also reopened the Panther Junction Bookstore, operated by the Big Bend Natural History Association. It remains mostly business as usual at Chisos Mountains Lodge, which is inside the park but is run by Forever Resorts, a private concessions company. The park’s two gas stations and several camp stores are also open, in case you discover yourself short on snacks, drinks, or souvenir T-shirts. Visitors centers remain closed, however, and no one is allowed to camp overnight, withone exception—the Rio Grande Village RV hookup sites are open. The Chisos Basin, Rio Grande Village, and Cottonwood campgrounds are all closed, and no backcountry permits are being issued. According to Big Bend Superintendent Bob Krumenaker, the park has seen some stress since the shutdown began Dec. 22. He also noted no biologists are working, ongoing environmental monitoring has stopped, and most park employees are not getting paid. “Fire season is beginning, and we don’t have a fire crew and can’t do the prep work we normally due to prevent wild fires,” he said. While Big Bend has not experienced the same problems that made headlines at Joshua Tree National Park, where vandals cut down trees while the park was understaffed, some worry about long-term problems if the shutdown continues. With no rangers to provide information, visitors won’t receive important tips about carrying enough water and staying safe in a rugged desert environment. Spurred by frustration among some park visitors because they couldn’t pay their park entrance fees, the conservancy has started accepting online donations for the park. Staff will work with Krumenaker to decide the best way to spend those dollars after the shutdown ends, Lyons-Garcia said. Residents of nearby communities, which have pitched in to help collect trash and remove recyclables during the shutdown, welcomed news of the resumed custodial services, but business owners say they’re still seeing a dip in bookings at overnight accommodations. Chamizal National Memorial: The urban park along the U.S.-Mexico border in El Paso is closed to all visitors. Guadalupe Mountains National Park: The park remains open, without visitor services or programming. All Dog Canyon roads and trails are also closed, and Frijole Ranch is closed due to recent wind damage to large trees. Lyndon B. Johnson National Historical Park: The Johnson City-area park, dedicated to the life of the 36thpresident of the United States, is closed. Padre Island National Seashore: Campgrounds and visitors centers at the 70-mile barrier island are closed, but visitors can still access the beach. Yarborough Pass Road is also closed. “The way we’re putting it is day-use only, and use caution because cell service is limited,” said Meredith Darden, director of visitor services at Visit Corpus Christi.